I have been posting tips on iOS7 all week on Facebook. These posts have generated a lot of comment and have been very popular. I’ve collected them all here together in case you missed any of them, and added a few new ones too…..
Do you have to upgrade to iOS7? Not yet - you can easily wait a few days or even weeks. There are sure to be a few small updates over the next week or so to iron out some minor annoyances - there's already been one update. However, it's not something you can avoid altogether - some applications are going to start requiring the new operating system. iOS 7 will now update your apps in the background whenever you are connected to a Wi-Fi (or mobile) network; without letting you know there are any updates. While this does mean your apps will always be up to date, it also consumes data and power, and should be restricted for when you're free to plug in your iPhone or iPad to charge, or when you can connect to your home Wi-Fi. You can turn off auto-update: Tap the Settings icon, scroll down to iTunes & App Store and turn off Automatic Downloads for Apps and Updates. If you slowly jiggle your iPhone or iPad you may notice the "parallax" effect of three-dimensional icons sitting on top of your wallpaper. This effect uses internal hardware to sense the direction, speed, and motion of your movements. You might like this effect (or not), but it does drain the battery, and it is there just for appearance. To save a bit more power on your device you can disable the "moving wallpaper" feature: head to Settings > General > Accessibility > Reduce Motion, then flick the switch in the on position. Apps that receive constant updates, usually those that are syncing across a number of devices, are automatically refreshed in the background in iOS7 so they are always up to date – rather than receiving an update when you open that app. However this feature is very heavy on your precious battery power and it has been reported as causing some issues with logging users out of sessions on some apps so they have to log back in. 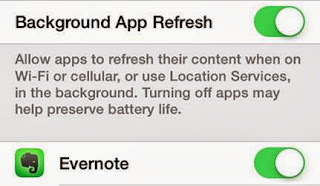 I think that’s two good reasons to disable it: Just go to Settings > General > Background App Refresh. You can then see which of your apps are using this feature – in my case it’s Evernote, Google Maps, Pocket and Springpad. You then have the choice of disabling Background App Refresh on an app by app basis, or disabling it all together. 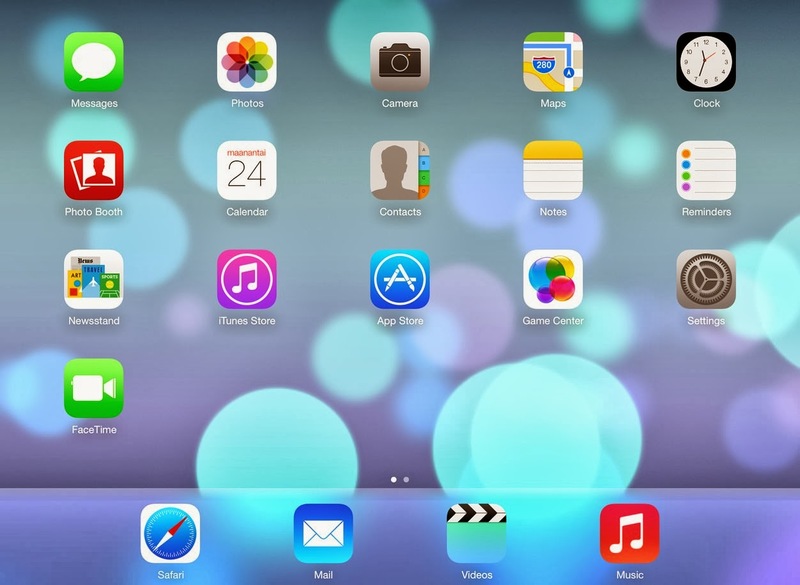 Don’t worry, your apps will still be updated – it will just happen when you open that app, which is how it was in iOS6. iOS7 Tip of the day: AirDrop is a brilliant tool that allows you to share files between devices when they are in close proximity. But its use can take a heavy toll on your battery, particularly when AirDrop is always trying to ‘discover’ if there are any friends close by. To save your battery, you can just activate AirDrop when you need it. 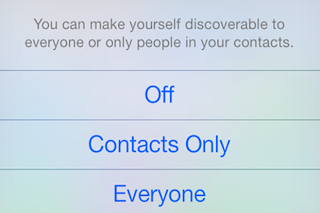 To turn it off, swipe up from your home screen to bring up the Control Centre, then tap AirDrop. Select Off when you're not using it. 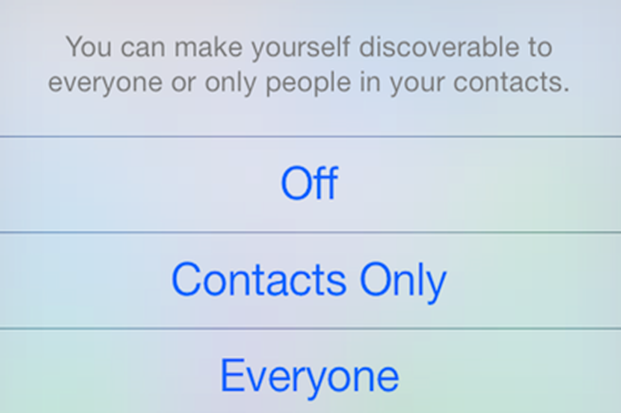 This is also where you choose who can 'discover' you using AirDrop. The new dynamic wallpapers do look great, especially when they move when you move your device. However, they are another drain on your battery power. Would you rather have bubbles floating around on your screen or have your battery last longer? Instead go for a ‘still’ wallpaper – and there are some new ones to choose from in iOS7 – or use one of your own pictures. Go to Settings > Wallpapers & Brightness > Choose Wallpaper > select Stills and select your background (or Camera Roll or My Photo Stream to select your own photo). If you are not near or not using a Wi-Fi hotspot, or sending items to other devices using Bluetooth, these can be turned off. Swipe up from your home screen and you’ll see the Control Centre, tap the Wi-Fi button and the Bluetooth button to off. Double-press the Home button and all your open apps will appear as a scrolling banner across your screen. To close one, just swipe it up. Press the Home button again to return to normal. I have updated iOS7 in my ipad mini and it love it. That's great - I can't see why so many are complaining about it!